Japanese old word that means to show gratitude to mother nature and to respect the earth. From the sea to the mountain, ambience from various scenes and seasons. 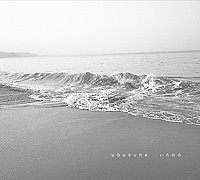 ironomi - asa - 5:50 � 00.00 Buy this Song ! ironomi - yume - 1:56 � 00.00 Buy this Song ! ironomi - ame - 3:33 � 00.00 Buy this Song ! ironomi - ame-agari - 7:34 � 00.00 Buy this Song ! ironomi - haruka - 7:44 � 00.00 Buy this Song ! ironomi - mizu - 3:38 � 00.00 Buy this Song ! ironomi - kasumi - 2:41 � 00.00 Buy this Song ! ironomi - yusora - 4:33 � 00.00 Buy this Song ! ironomi - kotori - 5:21 � 00.00 Buy this Song ! ironomi - hoshi - 6:32 � 00.00 Buy this Song ! ironomi - zero - 7:37 � 00.00 Buy this Song ! ironomi - ubusuna - 4:08 � 00.00 Buy this Song ! ironomi - umi - 9:49 � 00.00 Buy this Song !